This year the American Massage Therapy Association is turning 75! We’ll be celebrating in many ways, including sharing the stories of some of our members. 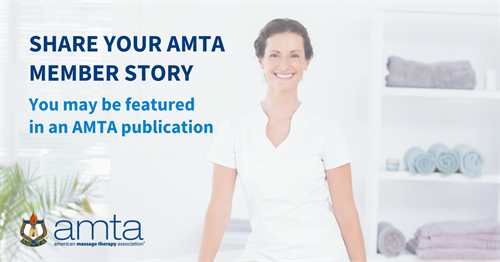 Now is your chance to share your story and you might be featured in an AMTA publication! Whether you’ve been a member for many years, or are brand new, we’d love to hear from you! Let us know about yourself and your career, and the ways that being a member of AMTA has affected you. While we are taking time to reflect on the past, we are looking toward the future of massage therapy. Tell us where you see yourself going! 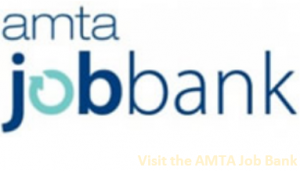 Learn more about becoming an AMTA member. From the Archives: AMTA Picture Frames! 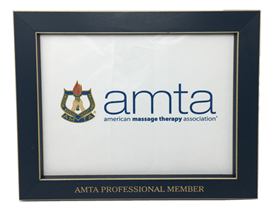 When digging through our archives we came across some 8.5″ x 11″ frames that say “AMTA Professional Member” and we would LOVE to give them away! For the first 14 Professional members (or renewing Graduate members) who share their story we will send you one of these picture frames!